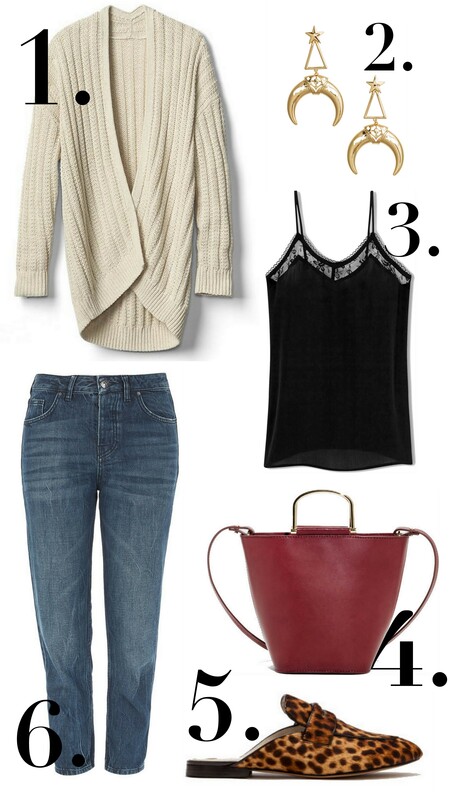 Cardigan: The White Company (old and borrowed for this shoot). Top: Asos (sold out). Jeans: Asos (sold out). Bag: Charles & Keith (sold out). Shoes: Boden (old). Photograph: Amber Gordon. Over the past few months, I realised that I have been reaching for the humble cardigan more and more. It’s almost overtaking the cashmere crew-neck in comfort and ease. I love how cosy they are for this time of year, but also love how they can make your spring t-shirts a hero again, and not just relegated to the ‘spring’ section of the loft. I borrowed the one above whilst in Paris and found it to be the perfect cover-up for something a little bit fancy, yet still feeling undone. 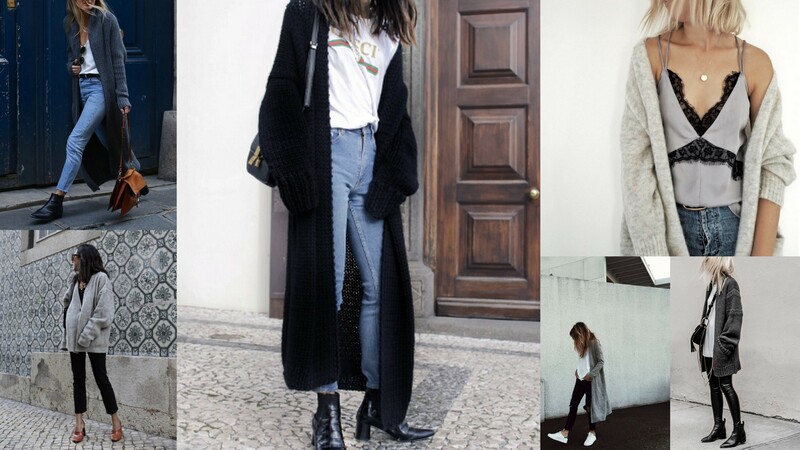 Cardi wearers: including top left Lucy Williams from Fashion Me Now. Bottom left and middle photos are Debora Rosa (if you don’t follow her on insta, you must here). Top right is yours truly. Bottom right is Instagram crush FIGTNY and the bottom middle is a Pinterest find. And what happened to the grey cardigan in the top right pic? Well, I accidentally shrunk it in the washing machine in a bit of a rush. It was one of my faves and lesson totally learnt. I missed it so much so that I had to buy a new one (via And Other Stories here) and have already read the care instructions (hand wash only) so as not to make the same mistake again. 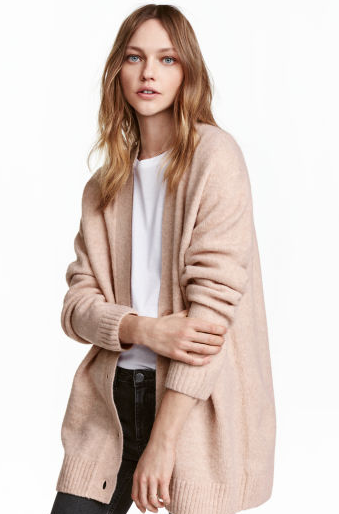 There is something SO cozy about the cardigan – it make you feel cozy in that really chic “I don’t need to say it but I am so cool” kind of way! You know what I mean? I’m sure you do cause you have got the look down! I’ve literally just trawled asos for a cosy grey one before seeing your post! Perfect for being pregnant too when nothing else fits! Brilliant post as always!